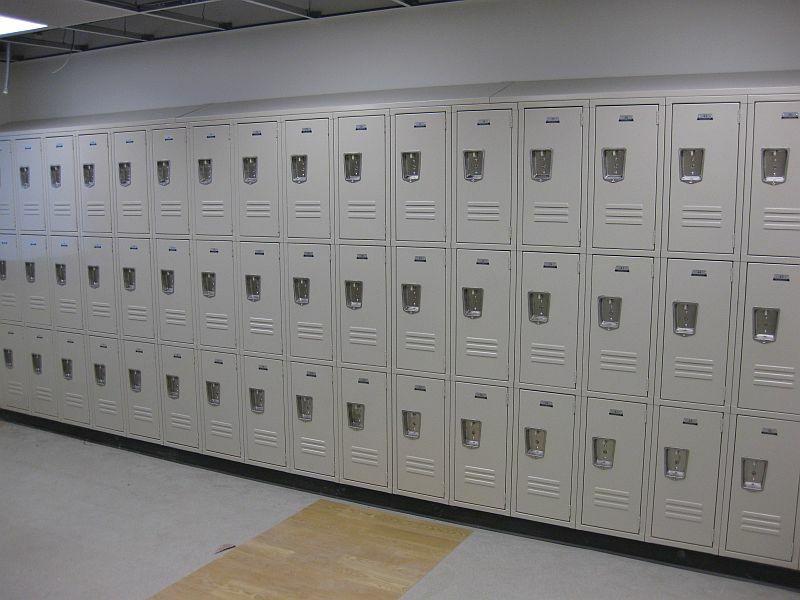 These Heavy Duty Welded Locker are available on www.buyusedlockers.com where they have a huge selection to choose from if we need additional supplies. 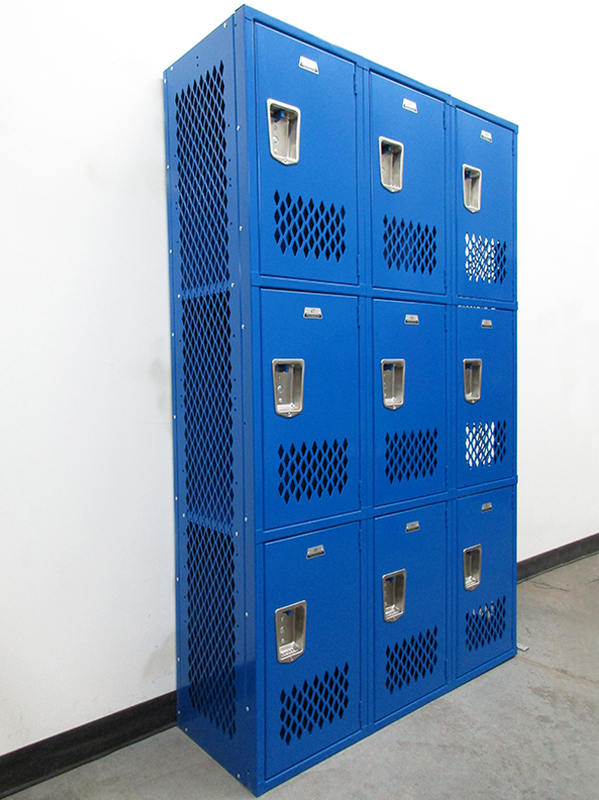 Brand new four tier heavy duty lockers for sale at a discounted price! 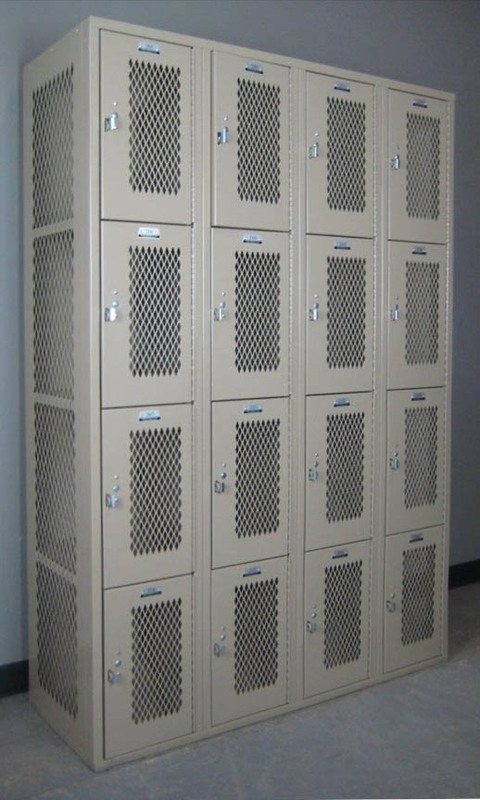 These heavy duty lockers have welded frames and bodies for extra strength and durability to withstand years of use and abuse; and diamond shaped perforated doors and sides to allow for air circulation to minimize mold, mildew and odors. 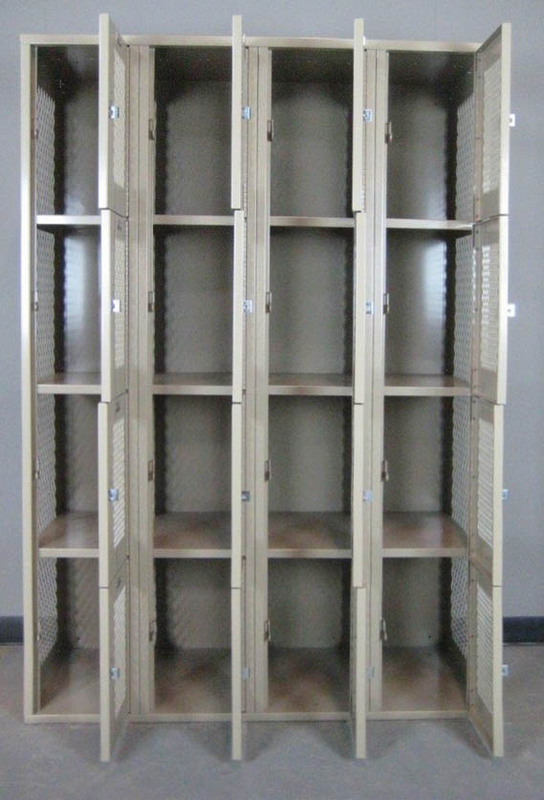 Lockers have an overall measurement of 12” wide x 18” deep x 72” high, divided into 4 individual compartments each measuring 18” high. 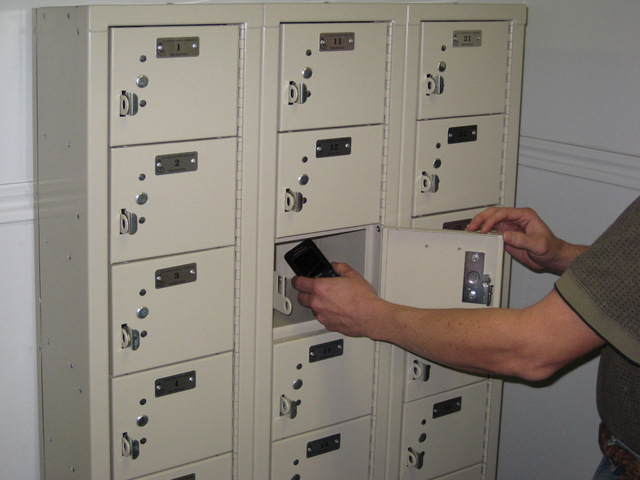 Doors can be locked with a standard padlock, or you can add built-in style combination or key locks. 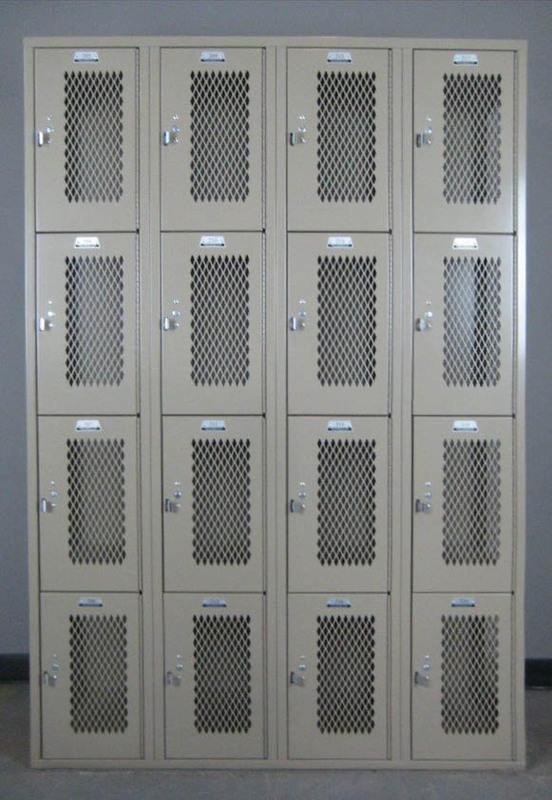 Available in a neutral tan color to coordinate with any setting, these are ideal for use in gyms and lockers rooms and anywhere you need to provide secure storage for multiple users. Fully assembled and ready to ship to you!